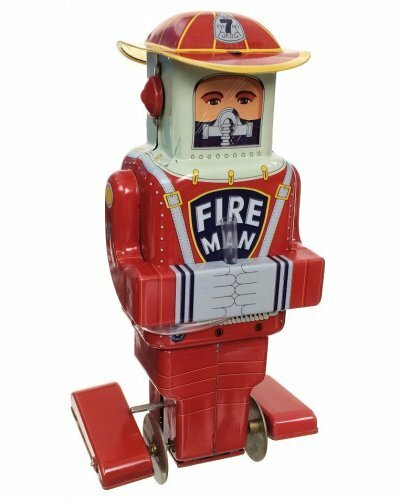 The Fireman Robot is proud to protect space pioneers and astronauts. This bright red robot wears a large fire hat, dual tanks on his back and a clear fire hose. 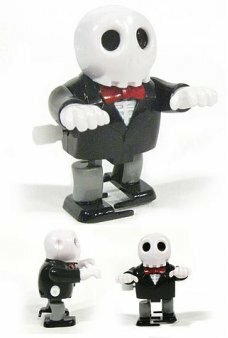 Our handsome mechanical F.D. 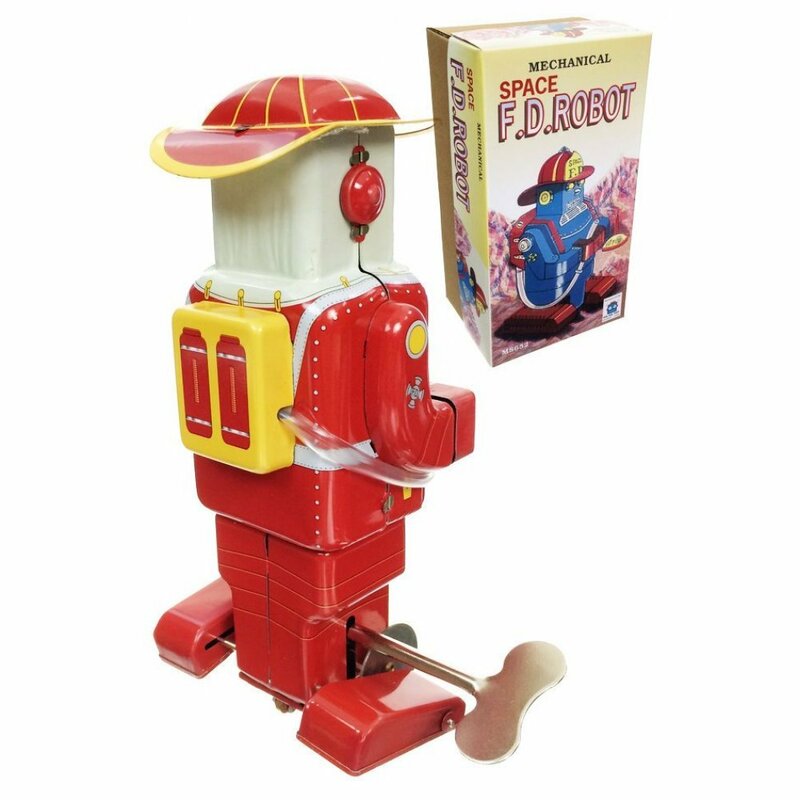 Robot is a high quality variation of famous Tin Toy robots from the 1950's. 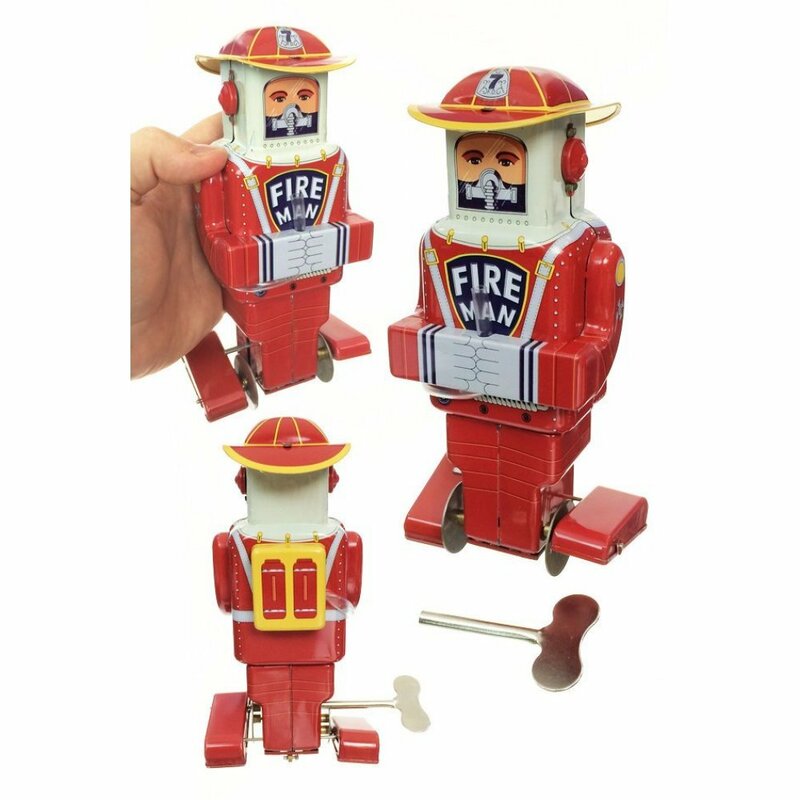 Our red tin toy fire chief has large feet that rotate into action when you wind up his mechanical engine. 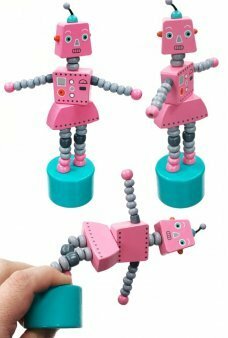 A unique tin toy robot for your collection! 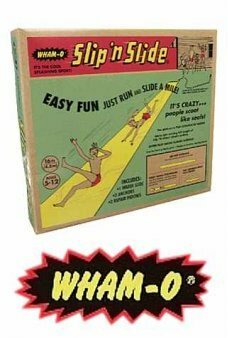 Package: 1950's Era Color Box - "Mechanical Space F.D. 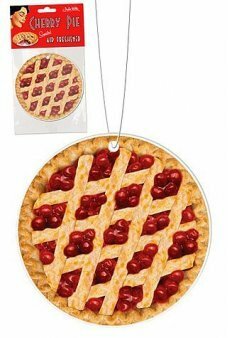 Robot"
This delicious looking air freshener emits the unparalleled aroma of a Grandma’s freshly baked cherr..
Wind up Skidum with his 3 rubber footed wheels and he hops and spins erratically clockwise and count..